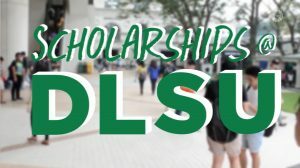 The Student Loan Program (SLP) is a short-term interest-free loan facility for the payment of tuition and fees of undergraduate and graduate students. The maximum loanable amount is 100% of the total tuition and fees indicated on their EAF. The loan amount is intended solely for defraying the cost of tuition and fees for a given term. As such, the loan shall be directly applied as payment to tuition and fees. It will not be released in cash. The loan is subject to availability of funds. Thus, the approval of the loan is done on an established need and first-come, first-served basis. Effective AY 2018-19, an undergraduate student may avail of a loan once every academic year (Source: Student Handbook, Section 8.2.2, page 80). However, if the student still wishes to apply for a loan for terms 2 and 3, the application is subject for evaluation and availability of funds. The deadline for the payment of the loan is the end of Week 9 of the term. After the deadline for payment, a 1% interest shall be imposed on the outstanding loan after a month. The payment for the loan, and interest (if applicable) should be made at the service windows of the Accounting Office. However, a referral slip from the Office of Admissions and Scholarships (OAS) must be secured before the payment is made. The photocopy of Official Receipt for student loan payment must be presented to the OAS for recording and clearance from the loan obligation. In case the loan is availed of after the designated payment deadline for the term, the 1% interest will be applied automatically. Non-payment of the full amount of the loan will prevent the student from accessing the online enrollment facility and will put the student on hold for requesting academic records and for enrollment or for application to graduate. *Schedule subject to change without prior notice. The applicant downloads the SLP Application Form at SLP_appform.pdf. The Hub at the Science and Technology Complex (STC), 2/F, Milagros Del Rosario BuildingA card containing the DTS (Document Tracking System) number will be provided to the applicant. The status of the SLP application may be monitored through the web. The decision on the application and further instructions will be stated in the remarks of the DTS.